Help our genius friend in his magic shop to serve the beautiful fairies! Match at least 3 gems to remove them from the field. 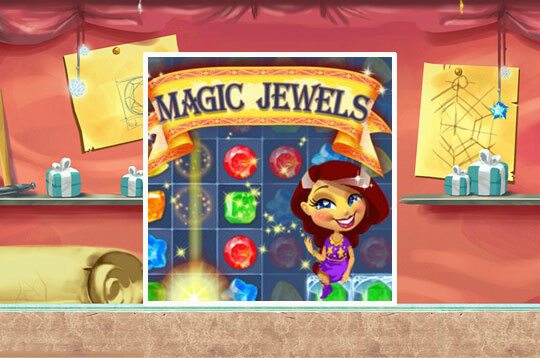 By combining 4 or more stones you will create special jewels that will blow up the entire line. Fight against powerful enemies and win all 101 levels! - Play Magic Jewels Free and Enjoy!